Another ATC to share with you today… must admit my rate of production of ATCs has slowed of late but know I am well ahead of schedule so not worried about meeting the challenge. It has been good to vary the projects a little more instead. 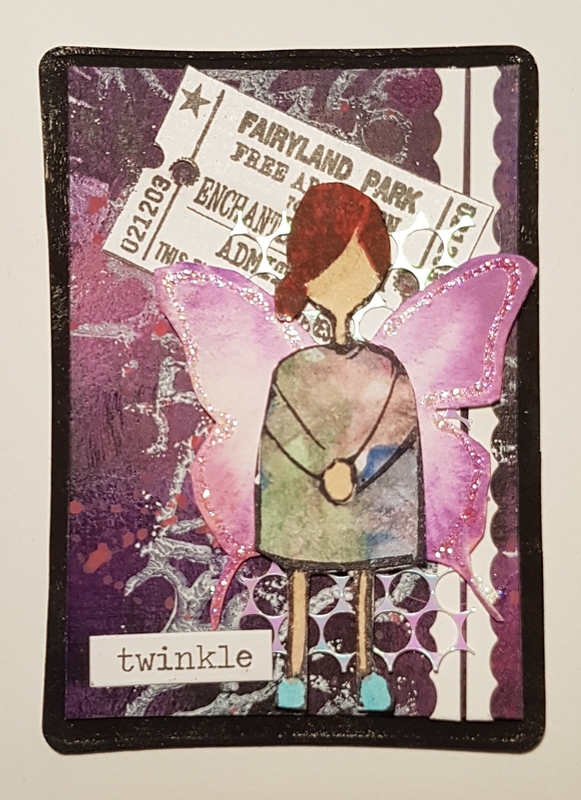 Anyway that aside today’s project is the fairy atc above…. and it’s another YouTube video.